If you haven’t felt something bigger than yourself when staring at a painting then you’ve likely never seen a piece by Jackson Pollock. He’s one of the main founders of the abstract impressionism movement. Jackson Pollock is the definition of a wild card. You never were quite sure what was going on in his mind. This same mysterious aura is prevalent in all of his works especially his notorious drip style paintings. 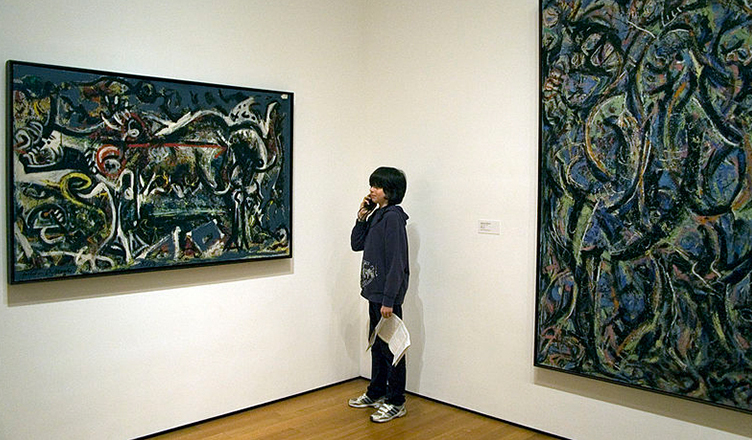 But before you understand the beauty of a Jackson Pollock artwork, you need to learn about the artist himself. 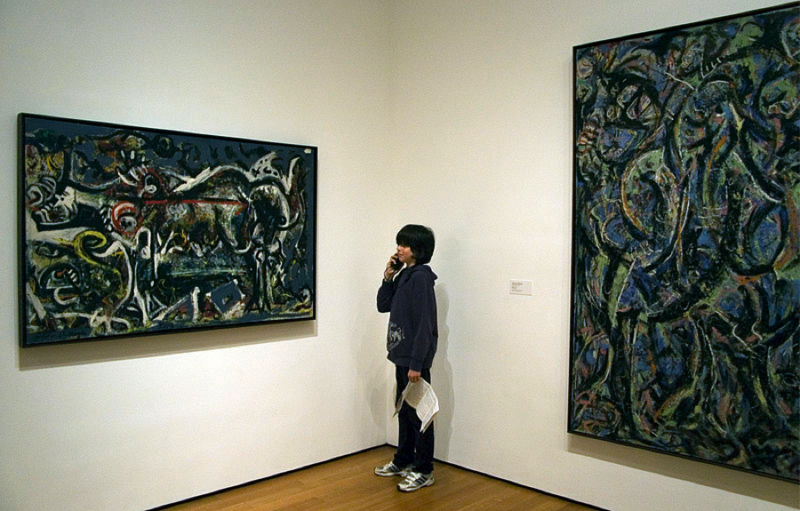 Jackson Pollock is a big reason that New York is an international art hub. He was one of the first to gain such critical acclaim from and in the city. You need to understand just how much of a non-conformist Pollock really was. This is the kind of guy who people would always volunteer to buy drinks for at the bar. Not because he’s famous or talented, but because getting Pollock drunk was like buying a live show. You really never knew what he was going to do, what shenanigans were around the corner, or who he would piss off. The alcohol eventually became a big problem for him. He was a severe alcoholic and he knew it. It was always causing him problems. He even tried some intense psychotherapy. It didn’t work in the end, as he was drink till the minute he died. He died crashing into a tree about a mile from his home. He was drunk. He never cared for rules and the rules didn’t much care for him. In fact, he was once declared unfit for military service based off of his psych evaluation. He doesn’t just have discord with regular society’s rules but within the specific art world as well. Everyone was painting with an easel. They would put their canvas up on the easel and paint facing their canvas. Pollock digressed with this. He had his own style. 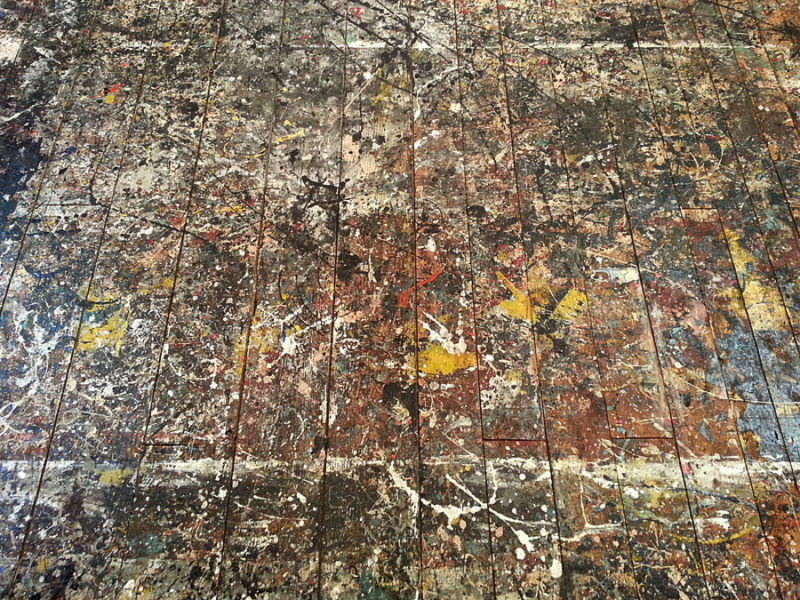 The picture you see above is the studio floor on which Pollock painted for the last 10 years of his life. The floor itself looks exactly like a Pollock painting, in fact it almost seems like he turned his workspace floor into a work of art itself. Pollock liked to paint standing over his canvas. He would put the canvas on the floor and he wouldn’t even use a paintbrush. He would scoop paint with either a knife or some kind of stick. He would then drip paint down meticulously until he had filled his canvas with the perfect array of color and design. The process would have to painstaking and it allowed him to easily make some colors thicker than others. He felt like it allowed him to create his work much easier. Some people might look at his work and think it’s nothing but a hodgepodge of colors and textures. Anyone who doesn’t see beauty in his work isn’t really looking. They’re just glancing. Thinking about how and why he created his work can help shed some meaning on his work. Go back and look at the photo above. If you think random color and texture can’t be art than you are directly saying that nature itself is not art. 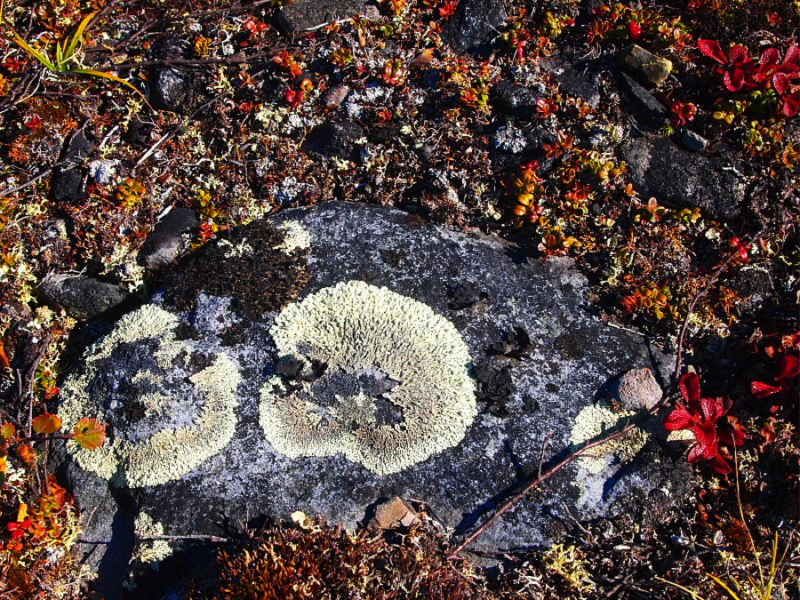 Consider this picture of lichens. It’s nature and you know what you’re looking at so you’re comfortable with calling it beautiful. It’s a beautiful picture of nature. This picture of lichens looks and feels just like a Jackson Pollock painting. The picture is beautiful because it is. The colors and textures are pleasing to your eye. The same is true for a Jackson Pollock piece. Too many people try to find some deep philosophical message hidden in his works. Don’t go down this rabbit hole. Enjoy his work for what it is. When you stare at his works you think you’re about to see something. You are almost convinced that you see some symbols, words, or images. Pollock didn’t place those images and symbols in. What he did do was make a Rorschach type piece. The Rorschach test, as you know, is the ink blog test where a therapist shows you an image of practically nothing and asks you to share what you see. A Jackson Pollock stimulates the same part of your brain that makes you want to see something. You always feel like you’re about to see something, and sometimes you add your own personal view into his work. That’s why a Pollock piece is different to everyone. Everyone is feeling something. It’s his use of colors and textures that make you happy and pleased. It’s undeniably beautiful, but it also is thought provoking. The combination of the two gives you a trance like euphoria when staring into a piece. For his artistic excellence and the thought provoking nature of his work we have decided to honor Jackson Pollock with a Brainy Certified: Mind Blowing Art commendation. I think any discussion of the subject that doesn’t include Pollock is lacking a key ingredient.